This outstanding new book reveals through a series of case studies how modern digital photogrammetry is capable of providing dense and accurate spatial data to solve a wide range of contemporary measurement problems, and at a diverse range of scales. It outlines key principles and methods associated with modern imaging and puts this into context with other modern spatial measurement techniques, including a full discussion of laser scanning. It will therefore be of major importance to practitioners in a wide range of disciplines who require spatial data and have identified imaging as a tool that could be used. 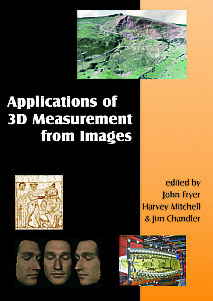 Each chapter focuses on a specific topic including archaeology/architecture, medicine/dentistry/sports science, forensics, landform evolution, industrial, manufacturing, engineering, biology and zoology, and provides specific examples which demonstrate the range in measurement scale achievable by photogrammetry. The book is suitable for a range of disciplines: civil, mechanical and industrial engineers; geomorphologists and earth scientists; forensic, medical and sports scientists. Traditionally trained surveyors and photogrammetrists who are challenged by a new measurement problem and are considering a photogrammetric solution will find the book of great benefit. It will also be an excellent reference source for students in these disciplines.